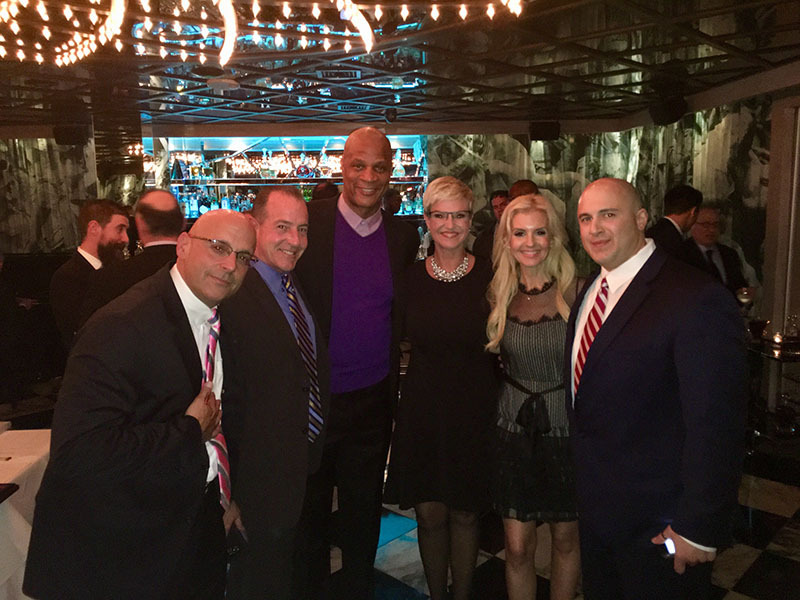 Strawberry Ministries held a fund raiser in New York City on January 23rd to raise support for Recovery Services, Programs & Reform to overcome the opiate, heroin and addiction epidemic in America today! The event took place at Hunt & Fish Club in New York City. Executive Manager of Strawberry Ministries, John Luppo, introduced Darryl and Tracy Strawberry to the packed room of supporting guests with an amazing and heartfelt speech about their cause. Resident’s Associate Publisher Melissa Kassis was asked to attend the event to help spread the word and guest Michael Lohan was there to lend support and awareness. Strawberry Ministries exists to impact, educate, inform, teach, support, and empower our families, children, grandchildren, youth, adults and families to overcome addictions, defeated living, and other societal pressures and life issues. We are restoring lives and relationships through the power of God and the process of change. In 2017: Fighting for your family and loved ones. SAMSHA: Darryl Strawberry is on the Governmental Board of the Substance Abuse and Mental Health Services Administration for Recovery reform. Providing Curriculum and Training to the Recovery Community in over 32 states in America and 2 additional countries. Clean Sober & Saved, authored by Tracy Strawberry and video teachings by both Darryl and Tracy, has now become the program of choice internationally in the Philippines and Canada and is projected to be in two other countries by the end of 2018. Partnering with organizations to build detox, treatment, recovery centers and long term transitional living homes. House of Hope Orlando: Residential Program for teenagers and parenting program to restore the whole family. (14 homes, in 14 different states, up and operating today). Redeem, Rebuild, Restore parenting conferences to educate, strengthen and restore the families within America today. Finding Your Way Conferences: Darryl and Tracy participate in teen, parenting, marriage, men’s and women’s conferences throughout the year bringing a message of hope and restoration to those affected by drug addiction, alcoholism, and the opiate and heroin epidemic.